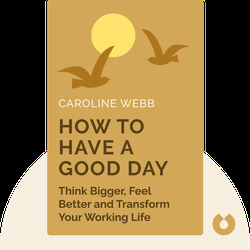 How to Have a Good Day (2016) explains how you can make the most of your working day, with advice based on recent findings in the fields of psychology, economics and neuroscience. These blinks will teach you how to navigate the challenges of the modern workplace like a pro and boost your energy level during nerve-racking or tiring days. 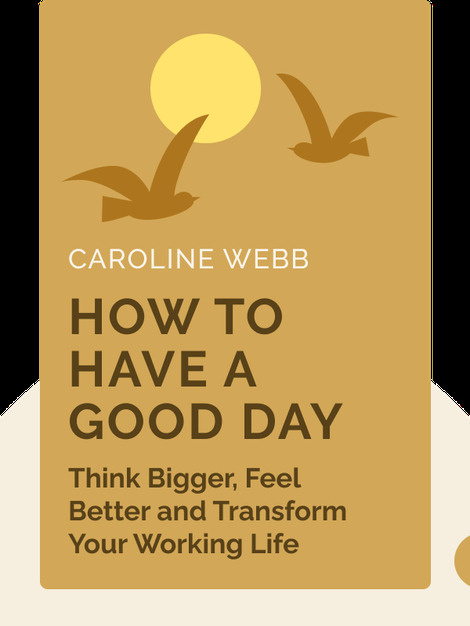 Caroline Webb is a management consultant who worked for McKinsey for 12 years before launching her own company, Sevenshift, which specializes in helping clients increase their productivity, energy and enthusiasm. Her work has been featured in the New York Times and Forbes.